From bay to beach, tide pool to crashing wave, and umbrellas to sunscreen, the idyllic and classic beaches of Delaware provide fulfillment and ease to a traveler seeking sanctuary by the ocean. Whether it is a peaceful and quiet environment or energetic and fun, there is a Delaware beach just for you. All within driving distance of each other, the beaches of Delaware are intertwined and deliver diversity in all ways. The little town of Lewes is the most historic town in Delaware. Charming and soft, the streets are lined with restaurants and shops all beckoning for you to come in and enjoy. The captivating Cape Henelopen State Park is a hidden gem secluded by trees and sand dunes. Seemingly separated from the rest of the world, you will be happily lost in its warmth and beauty. The resplendent Rehoboth Beach is the pride and joy of Delaware. With Funland, the boardwalk, and the home of the famous Grotto Pizza’s, the list of possibilities for things to do and enjoy in this beach town is endless. The dynamic Dewey Beach is Delaware’s resident beach town made for excitement. Young and exhilarating, Dewey’s cool and fun character will add a little bit of spark to your trip. The dreamy Delaware Seashore State Park is an ideal spot for those who love to fish on the water, and a paradise for beachgoers on the shore. Picturesque and tranquil, you will leave wanting more. 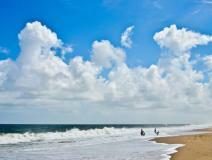 The beloved Bethany Beach offers itself as the perfect family getaway location. Quiet and serene, you will feel rested and content after your stay. Comfortable and relaxed, the faultlessness of Fenwick Island is your home away from home. This beach town is family-oriented while still offering fun activities for those of all ages. Each beach in Delaware fosters its own unique characteristics and has its own personality that stems from the residents of the towns and the visitors who select it as their temporary home. From Lewes to Fenwick, Bethany to Dewey, and Rehoboth to Cape Henelopen, there is a beach especially for you in Delaware.